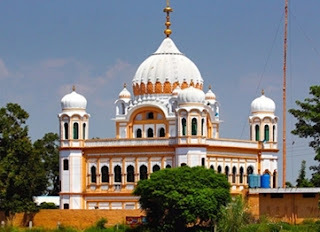 KARTARPUR SAHIB - The Corridor to International Peace: ਇਹ ਕਿਹੋ ਜਿਹੀ ਖੇਡ ਚਲ ਰਹੀ ਹੈ? ਇਹ ਕਿਹੋ ਜਿਹੀ ਖੇਡ ਚਲ ਰਹੀ ਹੈ? What is this bloody game going on? Look here Col Purohit's wife is revealing how her 'terrorist' husband was tortured by police officer named Karkare. The same Karkare was later killed by terrorists from Pakistan. Recently some terrorists sneaked into India via Pathankot. Later it came out that a senior police officer arranged their arrival. I feel there is a ground the way USA tells that RSS is a terrorist organisation. It looks all fishy and seems RSS has a Pakistani connection too.